Sognefjorden – The longest and deepest fjord, is one of the most magnificent travel destinations in Norway. 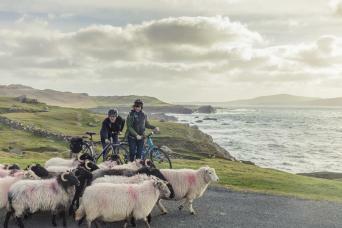 Rich in culture, history and tradition, it is the perfect cycling destination. Explore the city of Bergen by bike, one of the major Hanseatic cities in Europe and great trade center throughout ages, before an amazing boat journey takes you to the King of Fjords – Sognefjorden. 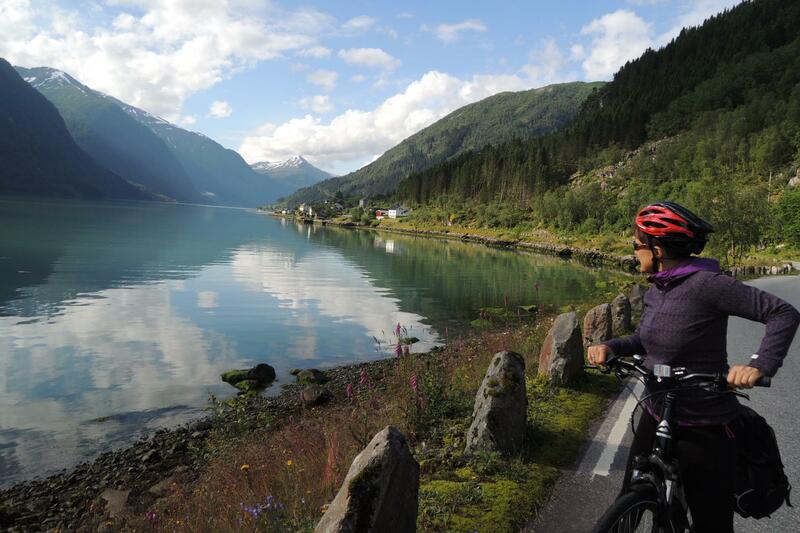 Your adventure begins here, on easy cycled, asphalt roads along the blue and green Fjord. You are sure to be enchanted with the fjord landscape, consisting of impressive waterfalls, small idyllic villages, stave churches, hamlets and Fjorside farms. Calm and easy-biked small roads take you to the most breathtaking places in the region. There are several options to get from the airport to the city centre and your hotel. The airport bus departs often and stops several places in the city center. Taxis are also available and private transportation can be booked in advance. See details under the Highlights tab. The vibrant and historic city of Bergen is Norway's second largest city and has a lot to offer. Most famous is Bryggen, the wooden buildings on Bergen's iconic wharf , which are reflections of its history in the Hanseatic League. St. Mary's Church is Bryggen's tallest and oldest structure, dating bacl to 1180. The Hanseatic Museum provides wonderful insight into the daily life of German merchants living and working here during the Hanseatic era. Just beside it, one of Norway's best-preserved fortresses: Bergenhus. The oldest structure on site, Håkon's Hall, dates back to 1250, and was a royal residence during the Middle Ages. Take the cable car to the top of the famous Mount Fløyen and enjoy a bird's eye view at 1049 feet above the city. Enjoy the lively fish market beside Bryggen, where you will find fresh fish and seafood, along with several restaurants serving a large selection of local dishes. Or, visti the Bergen Aquarium close to the Nordnes parc and the city center, and meet the sea lions, the creepy - but great crocodiles, many diverse fish and fascinating snakes. If you arrive early, the cycling tour of Bergen scheduled for Day 2 can also be done this day, giving you all of Day 2 to explore more on your own. The boat leaves from Bergen to Sognefjorden at 4:30pm. It is also possible to book a guided visit of the city with a 2 hour city tour - for 2 people: 700 NOK pp and for 4 People: 350 NOK pp. After breakfast, you will pick up your bikes at Bryggen. This famous harbour on the west coast of Norway is one of northern Europe’s oldest port cities, established as a centre for trade before the 12th century. Though many recent fires have ravaged the old wooden houses, the rebuilding has remained faithful to the original style. 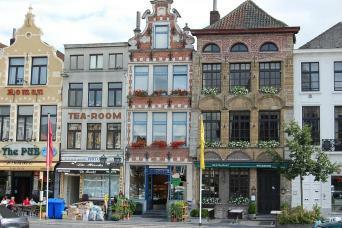 Today, some 62 buildings remain of this former townscape. 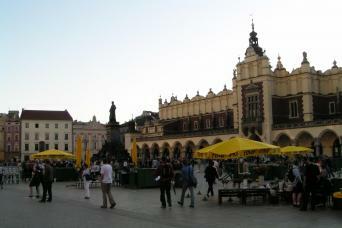 As you cycle, you will have the opportunity to visit, many of the city’s attractions. All of them shortly presented in the information you will receive. The boat ride on the fast boat takes 3.5 hours. The fast boat takes you among the islands of the western coast and the outer part of Sognefjorden. It is a really nice scenic ride, but there are only 2 departures per day at 8am and 4:30pm. The boat takes you to the western islands before entering Sognefjorden, whose glacier waters mirror snow covered majestic mountains. From here, you can admire small communities along the fjord and watch waterfalls in all sizes, as they cascade down from the mountains. Your hotel in Vik is less than 100 meters from the quay where you arrive with the boat. Sometimes we stretch people a little longer when we actually have a heart for a village and history architecture can tell. The state-of-the-art fellow Peter Andreas Blix (1831-1901) from Stavern was a renowned engineer and architect who designed several churches in Norway. Blix had a special heart for Vik and offered the last years of his life in the village. Here he had in his years his regular "Blix room" at Hopstock Hotel . In Vik he restored beautiful Hove Steinkirke for his own funds. Later he did the same with the dilapidated stave church at Hopperstad. Both churches are today one of the largest cultural treasures in Vik. After his wish, Blix was buried under the floor of Hove Steinkyrkje. In 1981, a memorial was set up over Peter Andreas Blix and the memorial stands almost right outside our hotel door. Please send a warm thought to Blix when you pass by. Enjoy breakfast in the hotel and then get ready to start the bigger rides! You will have an orientation this morning and get delivery and set up of your bikes. Merete will go over your navigation materials and answer all your questions! Today you cycle on small, peaceful back roads to the hamlet of Arnafjord. High mountains and spectacular waterfalls surround you. Cross through the beautiful Eitrestrondi Natural Park, which has been preserved because of its unique vegetation. The small grocery store in Framfjorden has tables available for a relaxing stop. You also pass a public area with a small beach suitable for a swim, if you are so inclined! You may also pass by the impressive Botnafossen Waterfall, which you can get close to by leaving the main road for a few km. Arriving on the quay in Arnafjord, Neset, we recommend to enjoy your picnic lunch by the fjord before turning and cycling back to Vik. Note: The small cafe on the quay in Arnafjord is open some days in summer, but it is impossible to predict when. It is not possible to pre-order. A small wooden house in Arnafjord «Skredstova” is open. This house is raised as a memorial place for 45 people that were killed in the avalanche in 1811. Continuing to Vangsnes, we recommend a visit to the big statue of “Fritjof”, before crossing the fjord with the ferry to Dragsvik. (Bikes are free on this ferry.) From here you cycle the last 10 km to Balestrand. As early as the 18th century, Balestrand was known as a popular tourist destination in Europe. Wealthy and distinguished people and artists from other parts of the country and from abroad came to the shores of Balestrand, attracted to the special fjord landscape you find here. You will stay at Kvikne's Hotel (from 1877.) Its imposing facade facing the fjord is an excellent example of the so-called Swiss style, an extremely popular building style from this period. 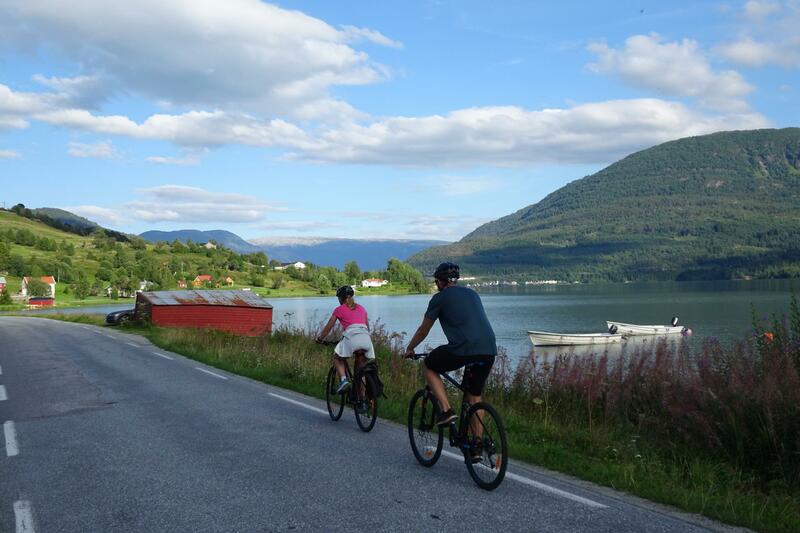 We recommend that you cycle along the fjord on what is now called King Bele's Way. A number of artists built their summer residences herein the dragon style, which was another popular architectural style from the same period. Many of these houses are well preserved today, forming a building environment that is unique, even in a national context, and is Scandinavia's largest concentration of dragon style houses. Additional services include a 2 or 3 hour guided visit: + 2 hours guided cultural visit; from 790 NOK per person for 2. Or 3 hours guided cultural visit from 1110 NOK per person. 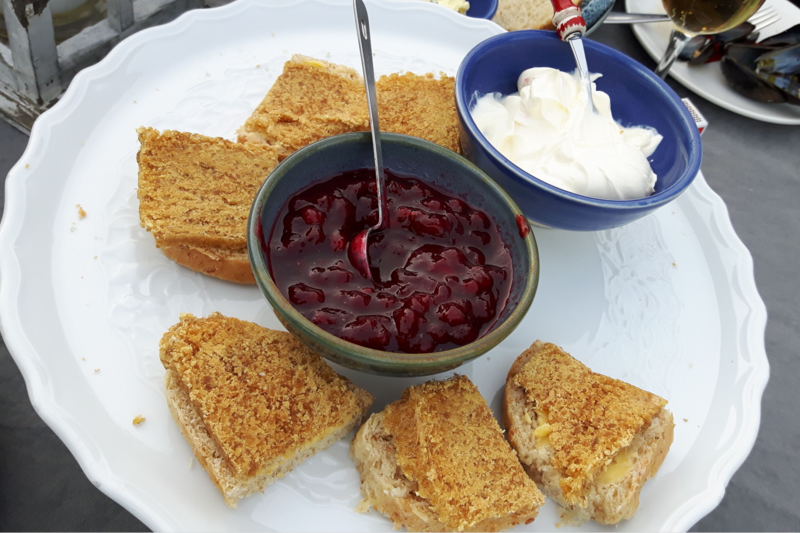 Guided visit includes: guide, entrance to the two churches, plus a delicious cheese and raspberry juice tasting. Highly recommended!! 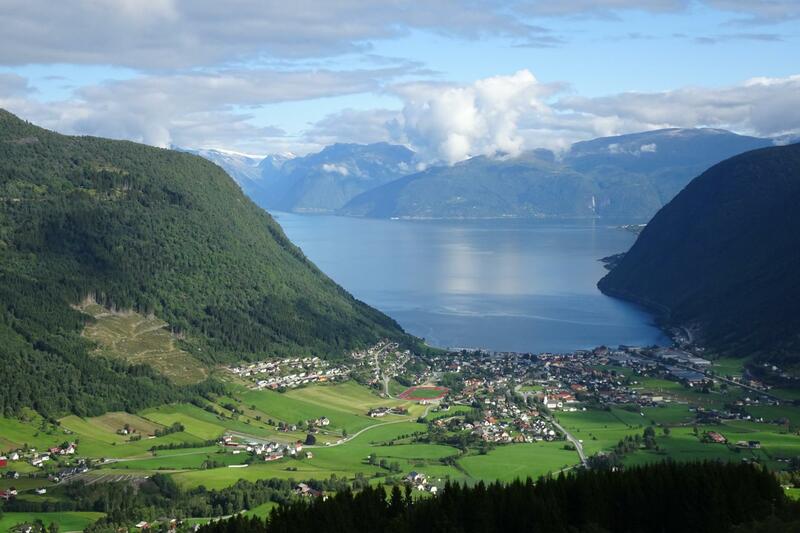 Today you will discover other small “arms” of the Sognefjord. First stop is at Esefjorden, where we can admire the famous mountains that inspired so many artists. Just before Dragsvik, you can visit the Arboretum which covers an area of about five acres, stretching from the road to the fjord. Today there are about 150 different varieties of trees and bushes from all over entire world. The collection is not presented systematically according to family or genus, as is often the case in other Botanical Gardens and Arboreta. Instead, by the geographical connection, such as Europe, Caucasus, Himalaya, China, Korea, Japan etc. You may also have time for a refreshment and a bath at the nice recreation area by the fjord. As you continue along quiet roads, you will be beside the fjord with mountains, picturesque farms and hamlets along the way. You will have wide and wonderful views over the fjord all of the way with different mountains and valleys coming into view as you go along. The last 5 km that you bike are on a lovely little branch road to Menes. Enjoy your picnic lunch outside, maybe by the fjord, before cycling back to Balestrand. Additional services available but not included in trip include a Cider tasting at 16.00, Mon-Fri, from 295Kr, up to 6 persons max. 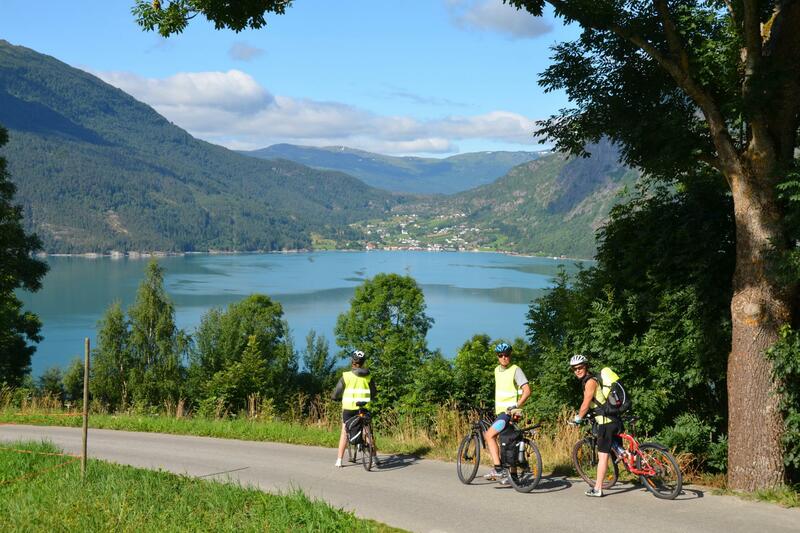 Today you enter the inner part of Sognefjorden and take the boat from Balestrand to Leikanger with your bike at 11.50. 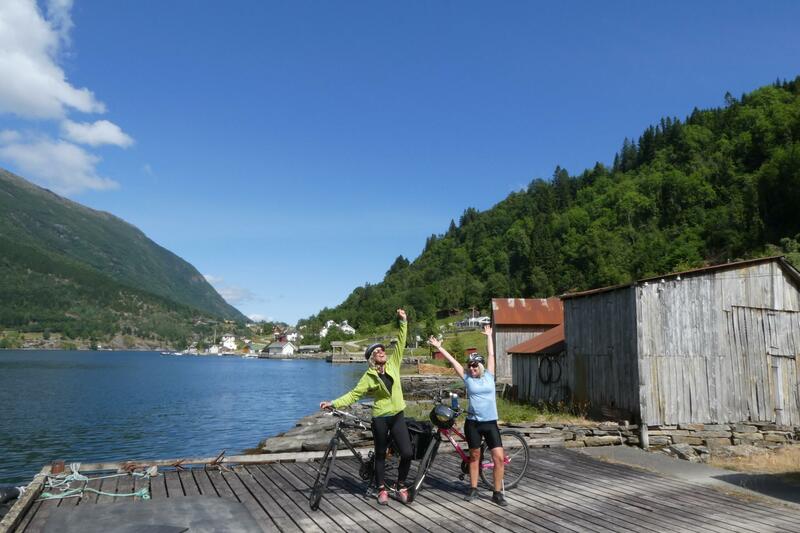 It is also possible to bike from Balestrand, cycling Esefjorden again to Dragsvik and taking the ferry to Hella. (Bikers are free on this ferry) From Hella to Leikanger it is 12 km. 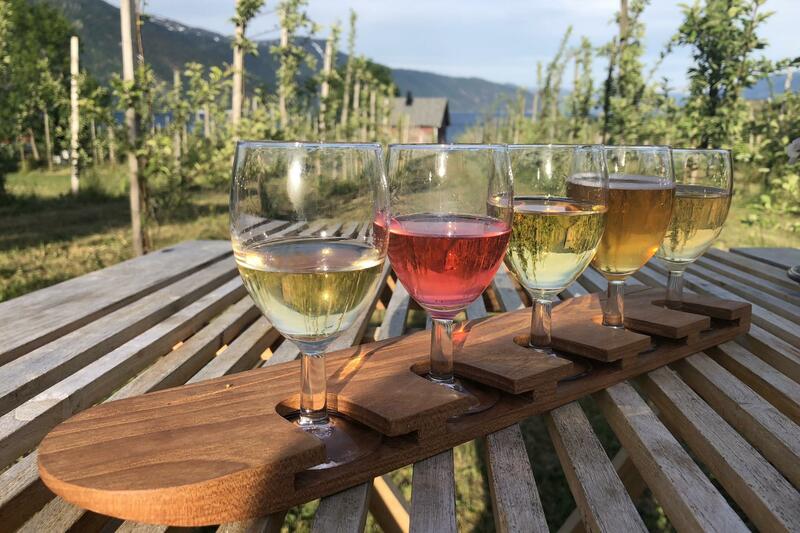 Sogn is the oldest fruit growing area in Norway and if you visit the area in spring, all of the fruit trees are in blossom. From August, they will be decorated with red apples and purple plums. You will be cycling outside two big tunnels and have to share the road with the cars except the last part in to Sogndal. 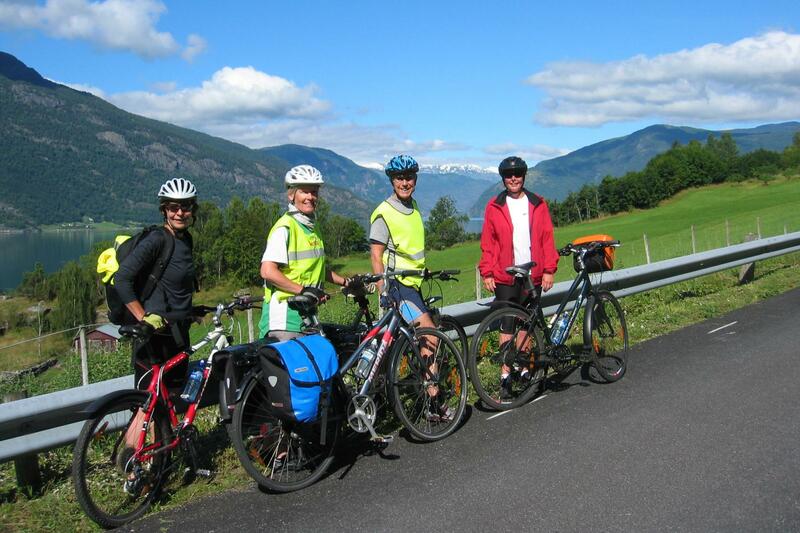 Through Sogndal, there is a biking path by the fjord. Make a stop in Sogndal – the center of the region. You will find shops and cafes in old Sogndal and a shopping centre as well. Continuing to Hafslo 18 km, you cycle along Barsnesfjorden. When it ends you have a 2 km uphill until you see Hafslo, which is beautifully placed by Lake of Hafslo. For the last 2 km from Galden to Hafslo there is a bike path and your hotel is up from the small centre of Hafslo with a very nice view. After breakfast, you cycle the same bike path as you came on yesterday (ca 2 km) to Galden before you cycle down to Solvorn. This idyllic small village with small, white wooden houses was built when the fjord was the most important source of communication. Here, the fjord is deep enough so big boats could come to dock. Solvorn has a small grocery store for some of your needs while you are visiting. We recommend spending a little time here before you take the small ferry that leaves every hour, starting from 10.00. The crossing takes around 20 minutes and will arrive in Urnes. Once here, you should cycle up the 700 meters that takes you to Urnes Stave Church, protected by UNESCO. The stave churches are Norway’s most important contribution to European cultural heritage. Enjoy a great view to Solvorn from the nice wooden church, beautifully situated in the Norwegian fjord landscape. Leaving Urnes, you will be on the small roads along Lusterfjorden, the innermost "arm" of the Sognefjord, and the finest, naturally! In Kroken, you pass “Vetlabui,” a self-served refrigerator with delicious jams and juices for sale. About half way, you pass the impressive 218 meter high Feigumfossen Waterfall. It is around a 40 minute walk up to have a natural shower – or you can admire the view of it from the road and have a swim in the fjord – or both! Note: You will need good shoes if you want to walk up to the waterfall as the ground is very wet. A small café by the fjord might be open and the area by the fjord is a good place to enjoy your picnic. The last stage to Skjolden has two tunnels and you will need a light. 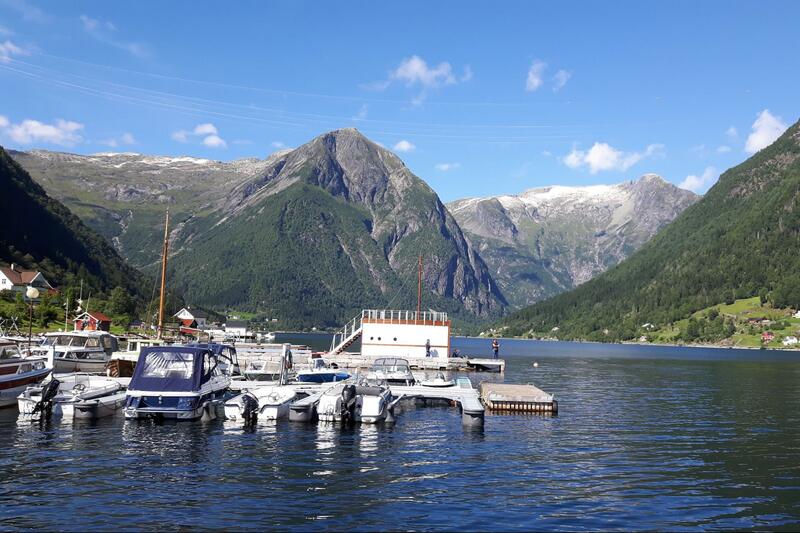 (1km tunnel and another at 300m; bikes are equipped with a light but a proper night light is a recommended packing item) Arriving in Skjolden – the far end of the Sognefjord, you can have a drink on the terrace of the hotel, in the café, or enjoy a swim on the public beach. We will pick you up at the agreed time unless you want to cycle back to your hotel (+ 39 km and two tunnels that are not possible to bike around). The return transfer here must be booked in advance. Rates vary by number of persons: 2-4 persons is 550Kr (appr $66US). Today, transfer to the fast boat to Bergen that leaves from Sogndal or Leikanger. A transfer for 2-4 persons is available for a supplement of 440Kr ($53US) to catch the fast boat. The first boat departs at 7:05 am arriving Bergen at 11:50. A departure from Leikanger is possible at 4:40pm arriving Bergen at 8:45pm. We offer tour extensions as well, just ask us for more information on extending your Norway experience! There is a 1 day extension to visit the Jostedal Glacier, either by bike or bus. Another option is the Nærøyfjord and the picturesque Flam Railway, to experience the UNESCO recognized "Fjord by Train." Note: the Flam Railway connects with trains to Bergen and Oslo. - Bike is equipped with back carrier, bags, lock and helmet. Accommodation: Deluxe 3 and 4 star hotels. All accommodations include private bathroom and a variety of other services. Private Group Guided departures available: Contact us with your dates and we will send a quote. Half board - dinners - can be added to each night of the program, total 7 nights for a supplement of 3192Kr ($383US). Note that outside of Bergen, most of these places are small and can be quiet without many dining choices. Here, nature is the focus instead of nightlife. Arrival Info: Participants can fly directly into Bergen or transfer in Oslo and come by air or train from there. Norwegian Airlines has well known low fares that travel directly to Bergen from key international cities. 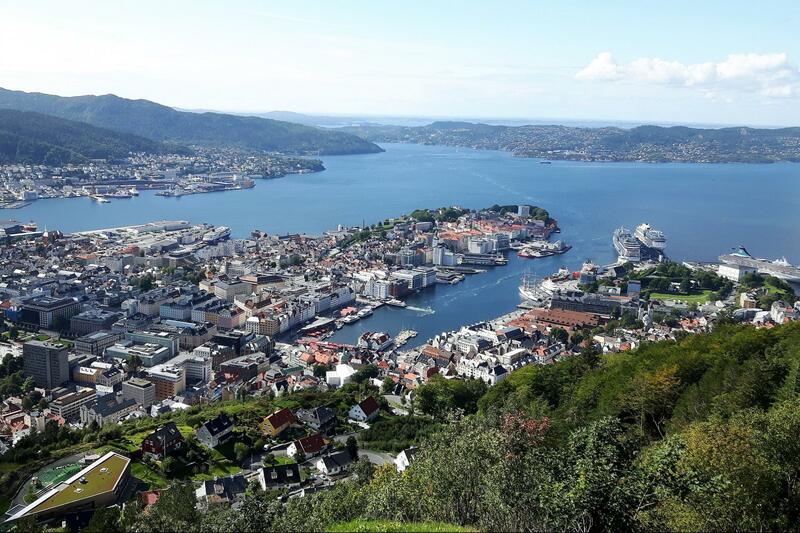 Once you arrive in Bergen, you have an extra day to adjust with optional activities or included bike ride. We are happy to help with stop overs in Oslo or other cities, please inquire. - This is a self guided 7 night, 8 day tour. Any date is possible, subject to availability from June 1 -Sept 30. - bike lights are needed for 2 tunnels on ride to Skjolden. - extra transport costs that are necessary are not included in base tour price; and need advance booking. OR: Flesland Airport - Bergen City By Bergen Light Rail - 45 minutes; www.skyss.no/en/timetable-and-maps/ bergen-light-rail . OR By TAXI Several taxi companies operates from the airport. Estimated price between 500 and 600 NOK to the city center. This is a self guided trip with support transportation included. Level: Level 3+ FIT+; cycling is advanced, distance chosen will impact the difficulty. For experienced cyclists. Merete: your guide leader and trip support contact on the ground throughout this trip, Merete is from the region and knows it so well! "After a degree in marketing, I have spent the last ten years working with cycle tourism, ensuring quality and great service for biking enthusiasts. 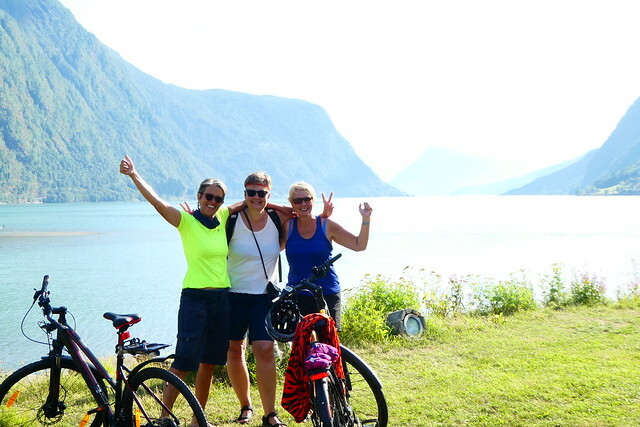 My greatest wish is for you to discover how wonderful it is to travel alongside the Sognefjord by bike and really have time to see the fjord landscape at it´s best".